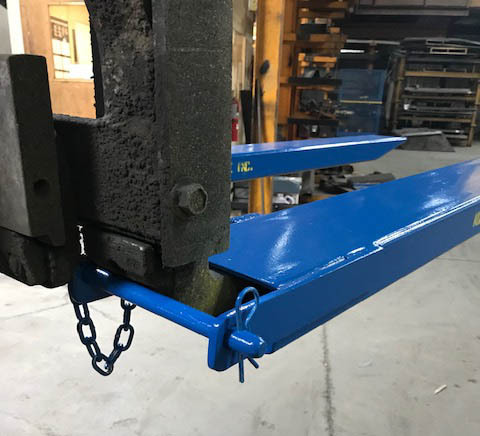 The Boxed forklift fork extension encloses all 4 sides of the forklift fork to offer a tighter fit. The fork has minimal movement within the boxed extension and provides a more stable loading surface than conventional forklift extensions. This boxed extension is required for shaft mount forks but can be used for any type of forklift fork. 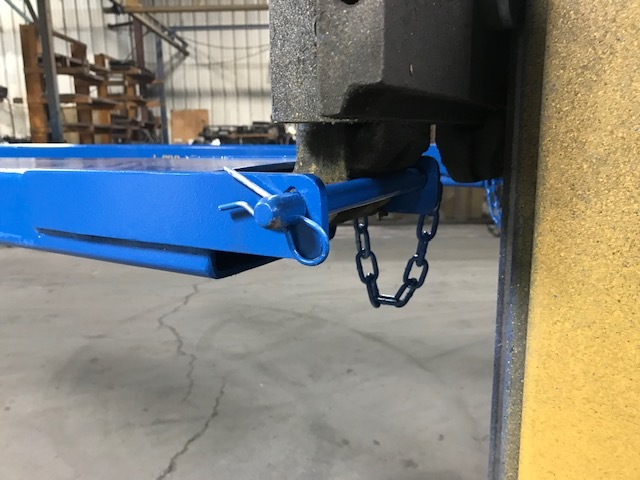 Simply slide your fork into the forklift extension, and secure it by placing the locking pin through the brackets on the back. 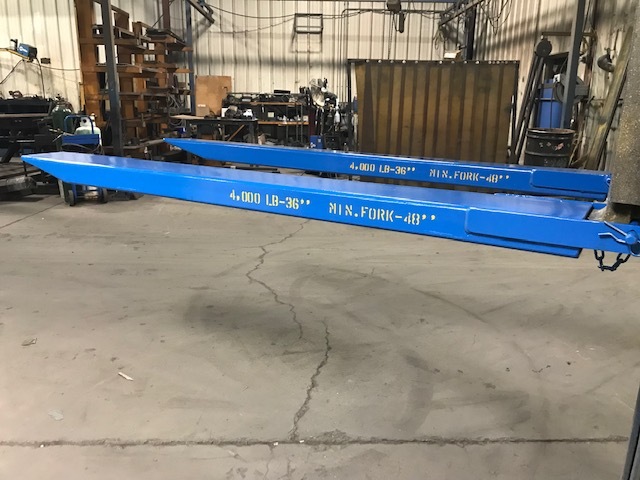 These forklift fork extensions are constructed form structural tubing. Taper on the end allows for ease on entering into product for movement..
5/8″ thick pin on end of extension keeps it in place and makes it convenient to take on and off. Other sizes are available upon request. 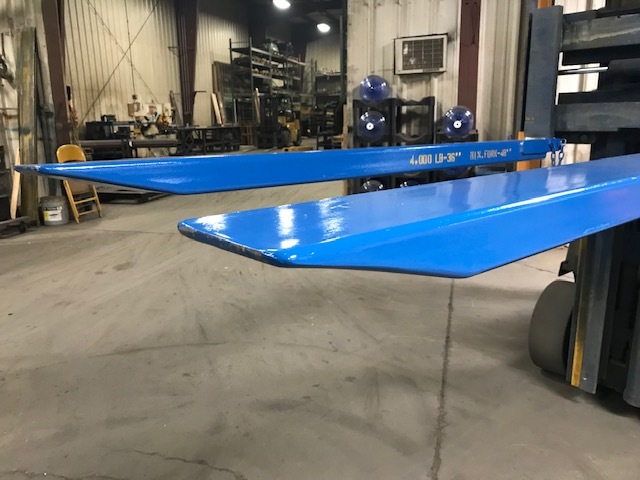 OSHA requires that forklift fork extensions cannot exceed 1.5 times the length of the fork. 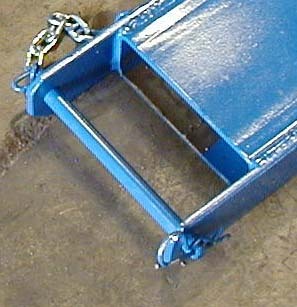 Forklift fork extensions are designed for hook type forks only. Click for data information on extensions. To read more about proper extension use, please see section 7.39 of the ANSI B56.1 ruling on fork extensions.